Massive downpour of rain falling from the sky. 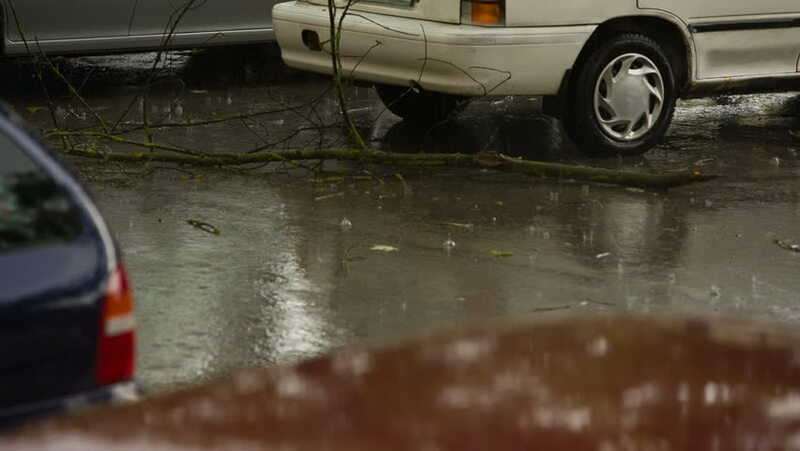 Cars outside, branches braking from trees, danger for cars and people, some small hail stones falling present. 4k00:16Bucharest,Romania, circa 2018: Team of workers put the hot asphalt on a street Road construction workers with shovels in protective uniforms. Working in the hot day. sd02:501940s - The usefulness of portable emergency phone equipment is demonstrated in 1948.